How to Brand Your Company - Does blogging help? How to Brand Your Company – Does blogging help? 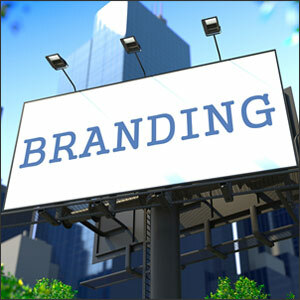 Do you know how to easily brand and rebrand your company? Today, we are looking at how to brand your company. When I think of branding or rebranding, I think of Mad Men. If you’ve never heard of Mad Men, it’s a show about advertising in the 1960s. Throughout the show, what has been interesting to me, is how the television industry has changed the way these advertising men did their advertising. In the first season, there was barely any work done with T.V. ads. As the seasons progressed, the featured company went from not having a media department to the media department being a part of every pitch and ad they did. When I read that, I hear it in Don Draper’s voice. Can you hear it? Today, we are still branding. However, today television is no longer new media. Something has changed. That something is the Internet. So how do we brand and rebrand ourselves today? Frank provides us with the answer in his article for Copyblogger. It’s all about the content. The article includes this great infographic that displays your options for generating content to brand your company. Guess where blogging falls? It falls as one of the easiest to implement and least requirement of attention. So, if I’m looking for an easy to implement way of branding that won’t require much of my time, blogging is it. Here are a few reasons why blogging is a great way to build your company’s brand. Blogging requires you to put on new and quality content on hopefully a weekly basis. This allows for new readers and potential customers to your site. Blogging is a fantastic way to build trust with your future customers. Through your blog, future customers can get to know you, start to like you and then start to trust you. Blogging is great because it doesn’t take up too much time and is not expensive. It is actually one of the cheapest ways to market. When you think of branding your company, does blogging come to mind? Or, do you have another great way to brand? Super post! Really love the infographic, too (I pinned it!). Also, TOTALLY heard that quote in Don Draper’s voice – SPOT ON. Blogging isn’t easy to do, but it’s certainly necessary for branding and I know for a fact it has helped me with branding for B Squared during the startup process. Thanks for always putting out great posts! You are a shinning example of how to blog. Brooke! I’m so glad you heard Don voice as well! 🙂 You have made my day. Thank you so much!